My original plan for today was to visit Mirabilandia to ride their new-for-2011 coaster. However, a few weeks ago it became clear that it wouldn't be open in time for my visit, and rather than stare at an unfinished coaster I decided to see what else might be in range. My first choice was a small credit in Croatia, but complications with the insurance on my rental car prevented this option. Instead, therefore, I decided to return to Fiabilandia. For the last two years the park has augmented their ride collection with Magic Mountain during the summer months. 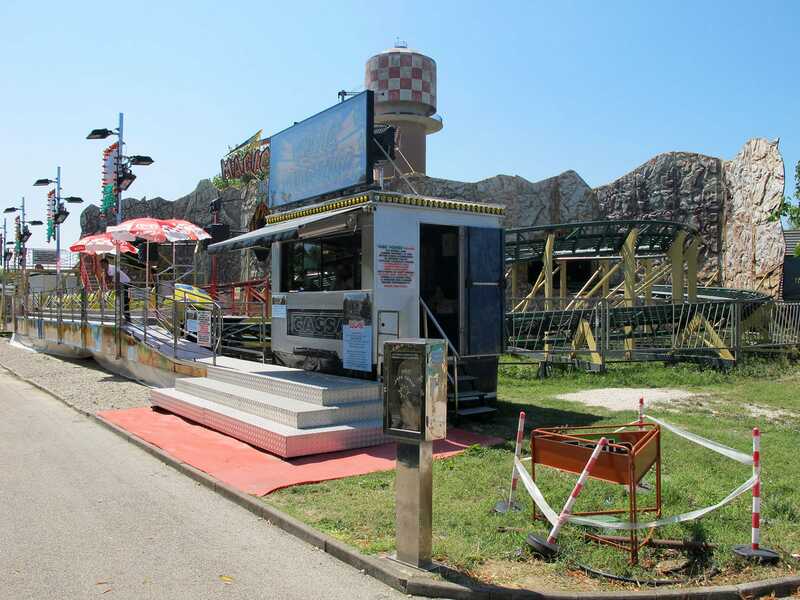 This attraction is a powered coaster that is otherwise found on the fair circuit in the northern part of Italy. Built by SDC, the design is a copy of Feuer & Eis that rides considerably better than the original. Passengers are treated to three laps of the course with the train gradually accelerating throughout. With that out of the way, I took a ride on the other three coasters. Space Mouse no longer has a one-ride-only policy, though one lap was still plenty for me. I was able to walk straight on to both Valle degli Gnomi and Miniera d'Oro. Finally, I took a quick lap on the Merlin's Castle dark ride which I'd forgotten completely in the two years since my last visit. As such, it once again managed to make me jump out of my skin. For the curious readers, I'll just say that the surprise isn't an imminent head-on collision! EuroPark Milano Idroscalo was an obvious place to spend an hour with a flight departing from Milan, or at least it would have been if I'd been departing from Linate Airport. As it was, my visit was shortened by the requirement to drive three quarters of an hour to Malpensa Airport on the far side of the city. There was just enough time to ride the Giant Wheel and the recently relocated Funny Mouse. The ride looks fabulous in its new home, thanks to its striking green and purple paint, but it still isn't much fun to ride; once was enough.